I'm sorry I've been on radio silence these past few days. The internet at the house where I was dogsitting kind of...died. 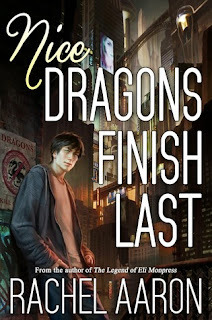 Yeah, so I'm behind on a lot of stuff, but enjoy the review of Cress below and stop by tomorrow for a recap of the awesome author event I attended Tuesday featuring Victoria Schwab, A.C. Gaughen and Tiffany Schmidt! 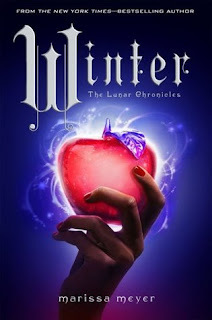 Marissa Meyer continues to weave fairy tales afresh in her futuristic fantasy world. This time, Rapunzel is the re-imagined character and story. It's probably for the best that Cress' story comes in the third book. It gives readers time to relax and take a breath after all the action at the end of Scarlet, and having other story elements already established worked well. I'm not sure Cress' plot line would have worked as well for me on its own. The plotting/pacing. The pace never really drags, the transitions are smooth and, though the action slows considerably at times, the plotting works well for the characters and story. We finally see some actual torture. Levana has not been doing nearly enough killing/maiming, at least up close, to be a good villain. She's still too emotional to be truly scary, but at least we're seeing a little less leniency and a little more follow-through. There is more romance in this book. Okay, that's a lie. Goodness knows there was plenty in Scarlet. But here, because of who/how Cress is, it seems to be more prevalent and, more importantly, more readily visible. Instead of simmering in the background, it is thought of, talked about, considered and imagined all over the place. The solar system is about to be engulfed in a war/massacre. Priorities, people! There isn't much Scarlet, which means less shooting/good flying, and a depressed Wolf. It's a little amusing seeing him suffer, but it got annoying after a while. Granted, I think the author made a good call giving Scarlet limited screen time. It's essentially what she did in Scarlet, giving Cinder fewer pages. 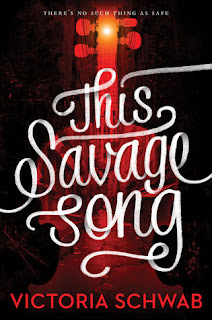 It's a good technique for introducing new characters and giving them room to grow, and it keeps the story from being bogged down and going for too much; but I definitely expect to see more Scarlet in the next book. Cress and Thorne. I didn't dislike them exactly, but I didn't really like them either. I understand their roles in the story, which were nicely intertwined with the larger plot, I liked the author's twists on the original fairy tale elements, but I was rather apathetic toward these two characters. Cress isn't weak or stupid, but she's a little too naive, trusting and romantic for my taste. Thorne: I saw the truth(s) coming a mile away, and I wanted him to be more. I already knew he was a Han Solo-ish lady's man, gambler and liar. What else? Also, he takes going blind entirely too calmly. Don't get me wrong. 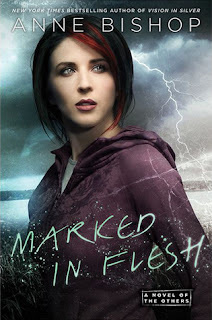 I enjoyed the book and tore through it in one sitting, and I still highly recommend the series and this installment. But I haven't been wowed since Cinder, which is a shame because this is such a fun, imaginative series and I love fairy tale retellings. 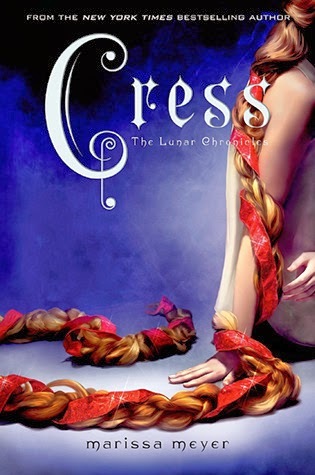 If you like fairy tales and/or romance, you'll probably enjoy Cress. And regardless of the series' shortcomings, I can't wait for Winter! 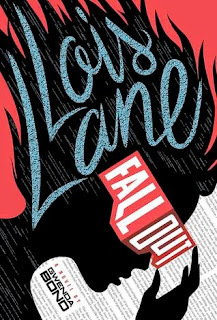 I actually really loved this book! I was sad about the Scarlet/Wolf situation and can't wait for it to be fixed in the finale. And I agree that I didn't feel the connection between Cress/Thorne. I can't imagine them working as a couple. BUT I enjoyed this story so much. I love seeing the original fairytales come out, I had a great time following this plot. And I'm always a fan of romance! You're right, more torture here, and Jacin is going to be an interesting love interest. As is the crazy princess.